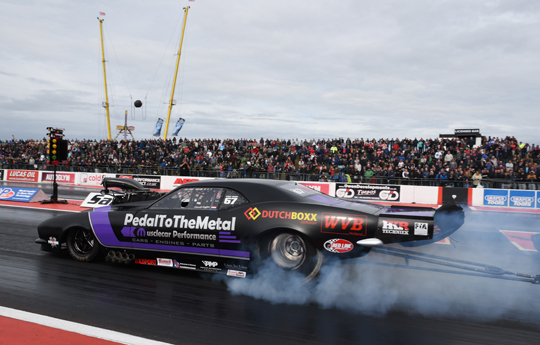 Duncan Micallef (Top Fuel), Timo Habermann (Top Methanol), Michael Gullqvist (Pro Modified) and Bengt Ljungdahl (Pro Stock) are the 2017 FIA European Drag Racing champions. 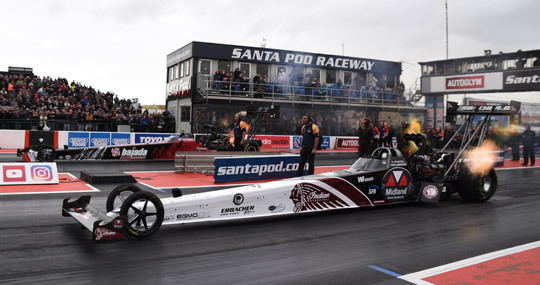 All four drivers secured the title in style by reaching the final in their respective categories at the European Finals at Santa Pod Raceway. For Micallef, from Malta, and Ljungdahl, from Sweden, it is their first European championship. Habermann and Gullqvist, already multiple champions, clinched their title on Friday in qualifying. 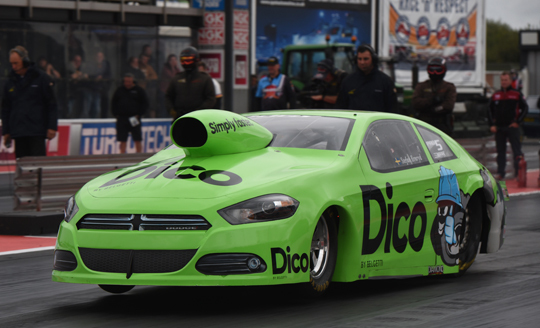 The European Finals at Santa Pod Raceway was the sixth and final round of the 2017 FIA European Drag Racing Championship. The weather was not with the racers in England, as after qualifying was hampered by rain and heavy showers, eliminations had to be cancelled after the semifinals when persistent rain made racing impossible. At that moment the championship in the four categories was already decided. 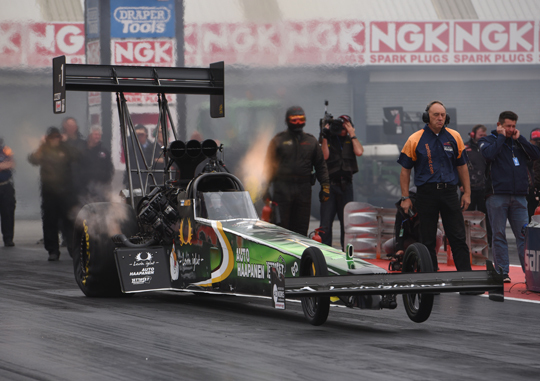 In Top Fuel the championship was decided in the first round of eliminations. Championship leader Duncan Micallef won his run over Jndia Erbacher and that was enough to claim the title. 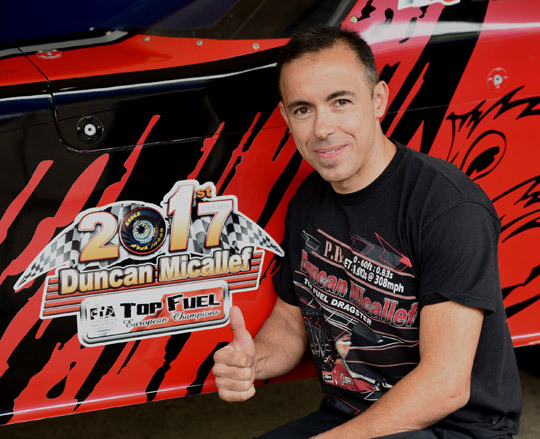 It is the first title for the driver from Malta and the first Maltese ever to win the FIA European Top Fuel Championship. A few moments later Antti Horto, the number two in the championship, was defeated by Stefan Gunnarsson, but the Finn remained second in the title race. 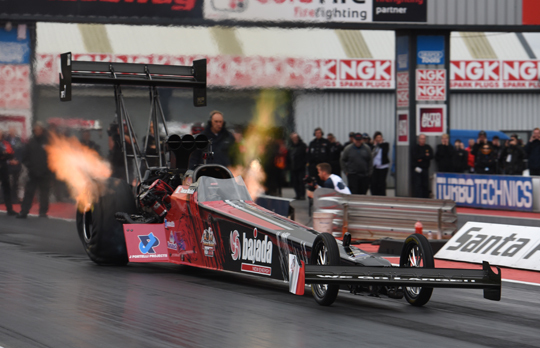 Micallef had a bye run in the semifinal when Gunnarsson’s car couldn’t be repaired after a heavy engine explosion in round one. 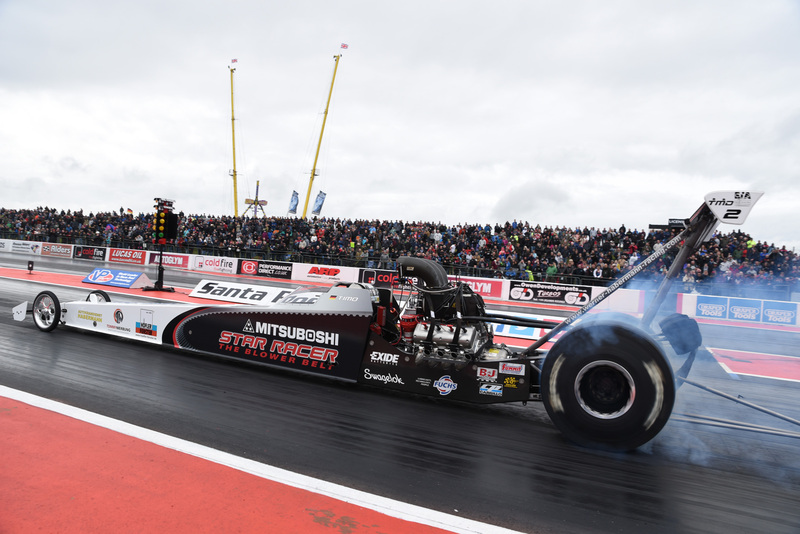 The new crowned champion had to face Anita Mäkelä, the 2016 FIA Top Fuel champion, in the final. The outgoing champion won her first round over Stig Neergaard and defeated Michael Kågered in the semifinal. Before the final could be run, rain brought an early end to the European Finals and so the interesting battle between the 2016 and 2017 champion could not take place. Kågered finished the championship in third position, with Neergaard fourth. 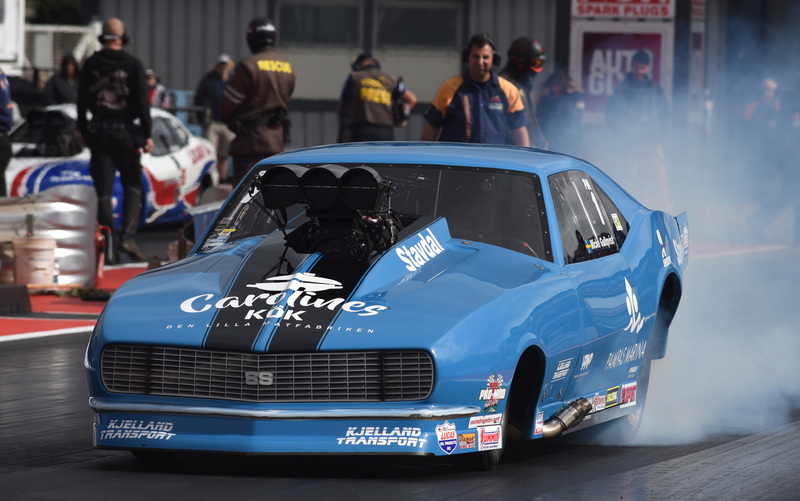 In Pro Stock the championship was decided in the semifinals. 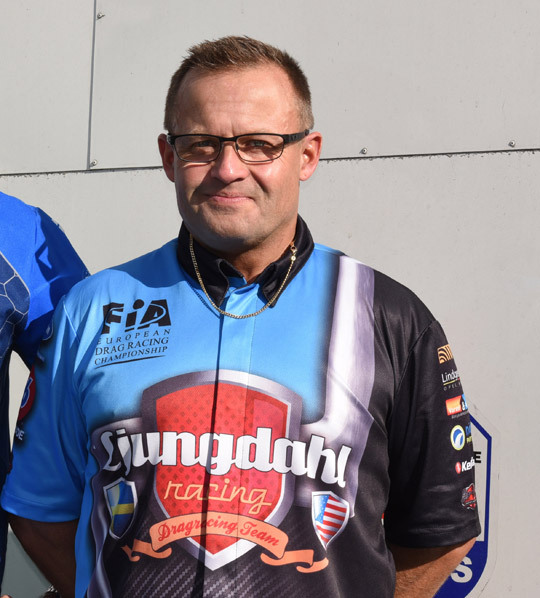 Championship leader Bengt Ljungdahl won his first round over Robin Norén, and had a bye run in the semifinal. That win was enough to claim the 2017 FIA European Pro Stock title. 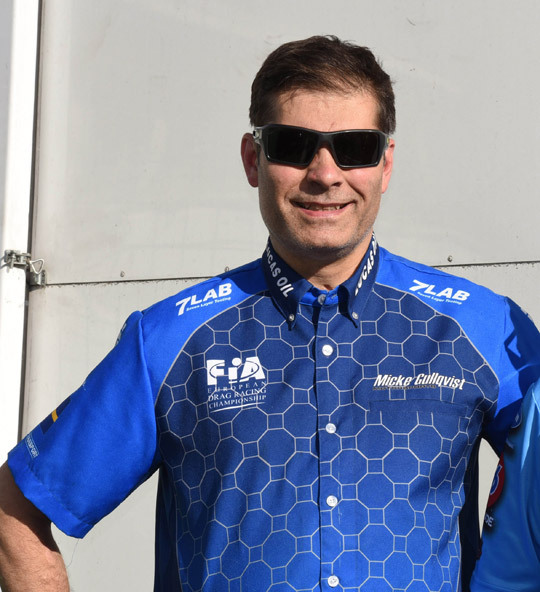 It is the first FIA European Championship for the Swedish driver. In the final Ljungdahl had to face Stefan Ernryd, the number two in the title race. Ernryd had a bye run in the first round and defeated Simon Gustafsson in the semifinal. Even a win in the final would not have been enough to claim the title. In Pro Modified the championship was decided in qualifying. 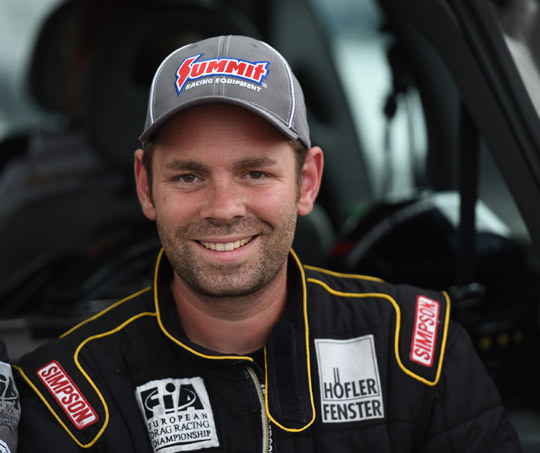 One qualifying run was enough for Michael Gullqvist to claim the FIA European Pro Modified Championship, his third consecutive Pro Modified championship. The champion from Sweden claimed the title in style by reaching the final of the last race of the season as well. 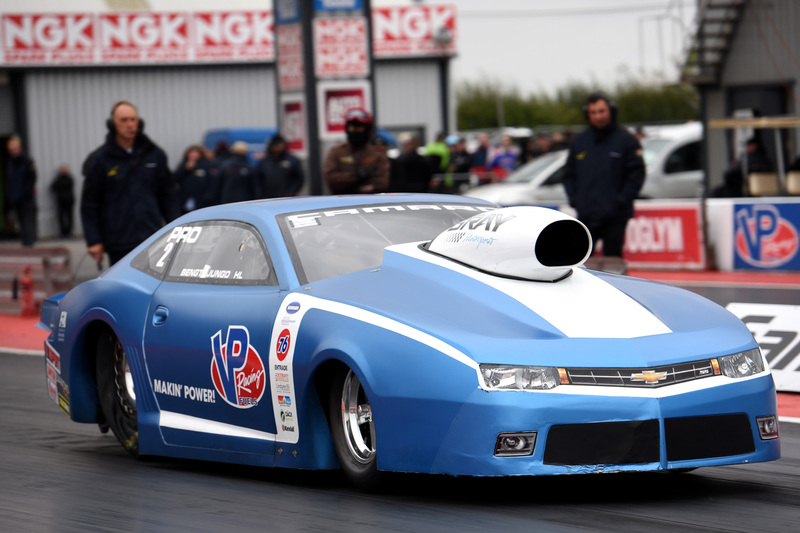 Gullqvist, the number seven qualifier at Santa Pod, defeated Michel Tooren, Andy Robinson and Kim Kristiansen. In the final Gullqvist had to face David Vegter, the number four qualifier from the Netherlands. Vegter won his first round over Jan Eriksson, to defeat his countryman Marck Harteveld in the quarter final and Jimmy Ålund in the semifinal. Ålund finished the championship in second position, with Vegter third. In Top Methanol Timo Habermann only had to complete one qualifying run to clinch the FIA European Championship. The German did even better by qualifying in the number one position and advance to the final after defeating Jürgen Nagel in the first round and a bye run in the semifinal. 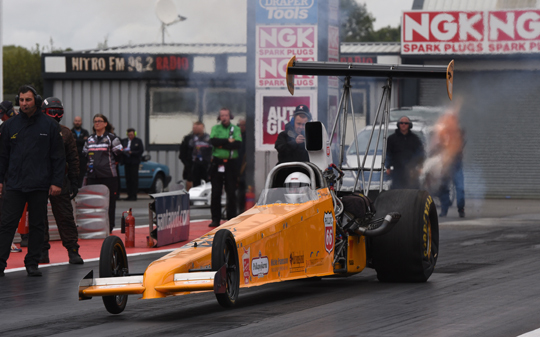 In the final Timo Habermann had to face Jonny Lagg, the 2016 FIA European Top Methanol Dragster champion. Lagg defeated Sandro Bellio in the first round and Dennis Habermann in the semifinal. In the championship Dennis Habermann claimed the second position, with Lagg in third.